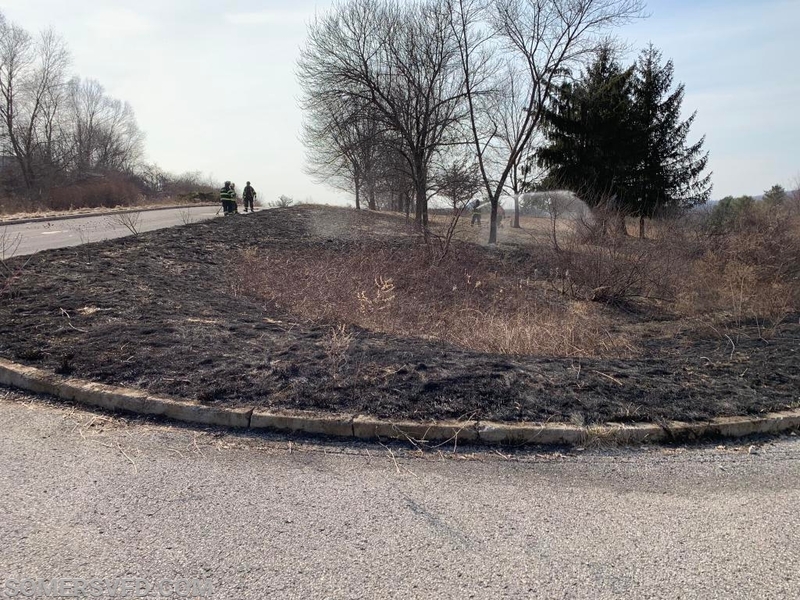 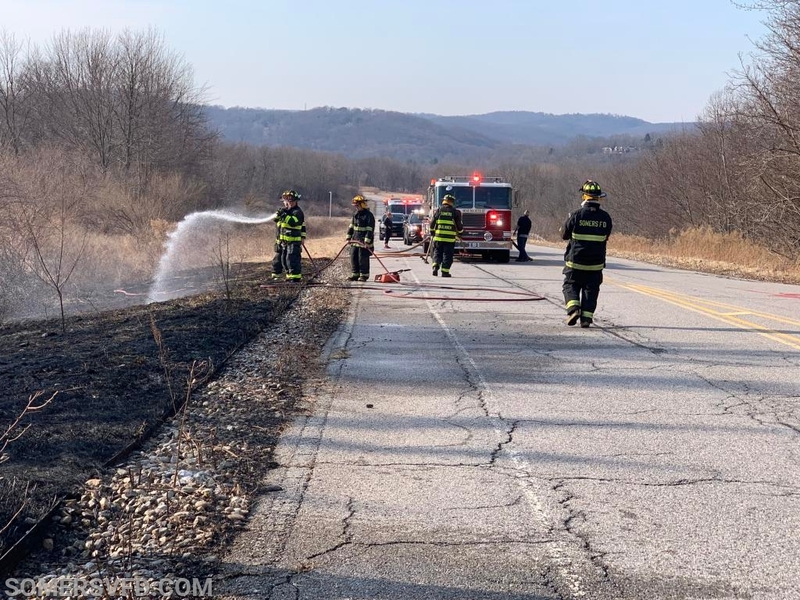 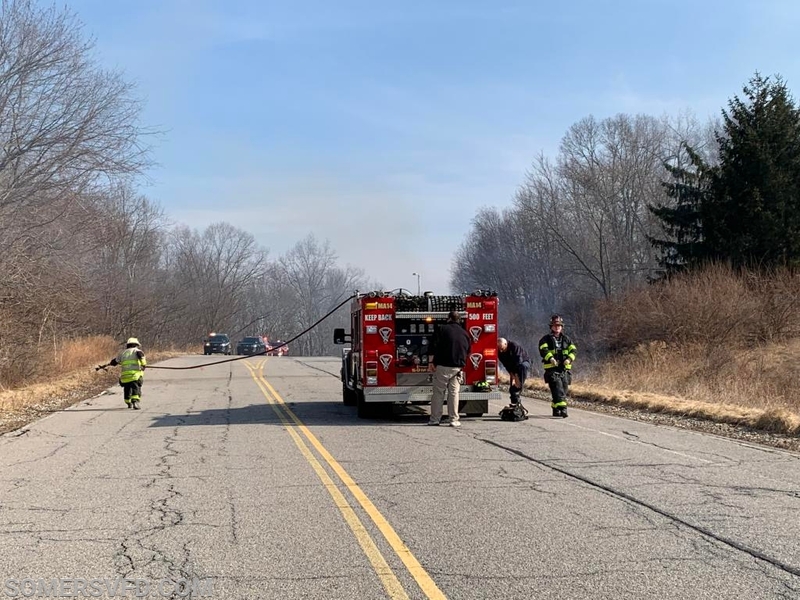 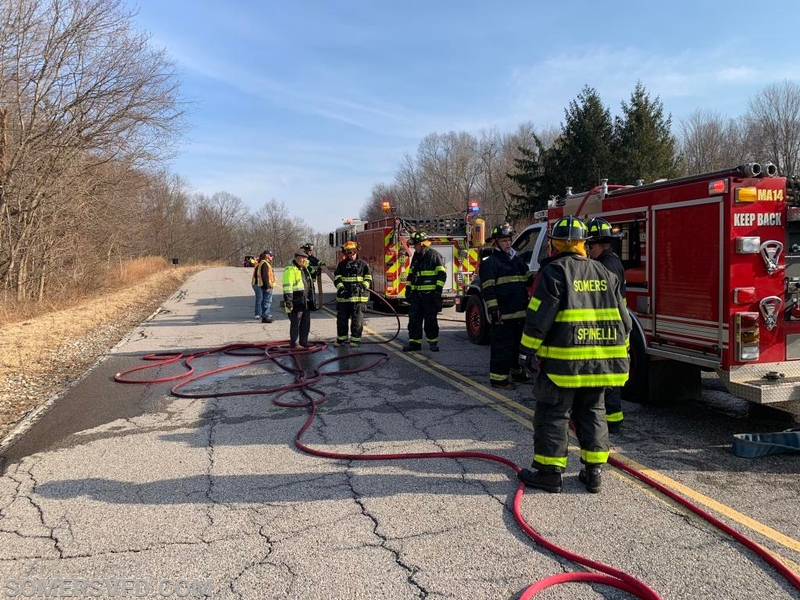 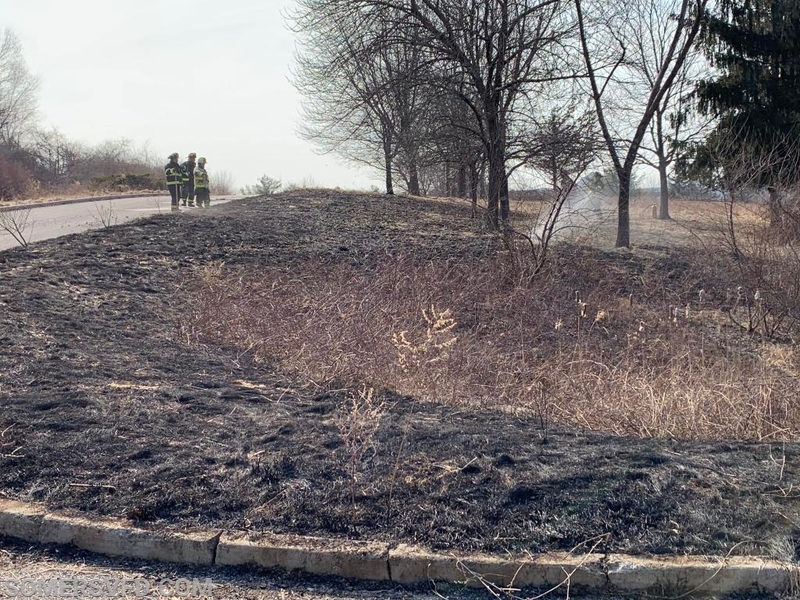 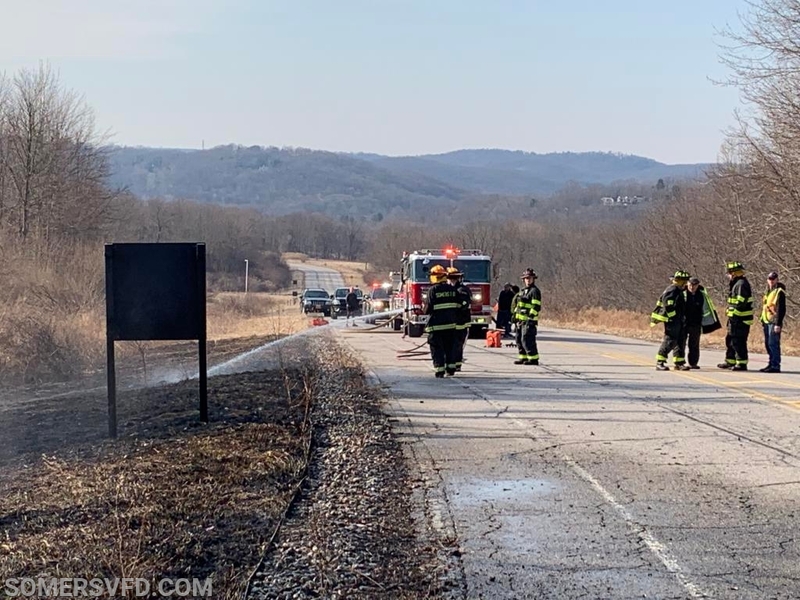 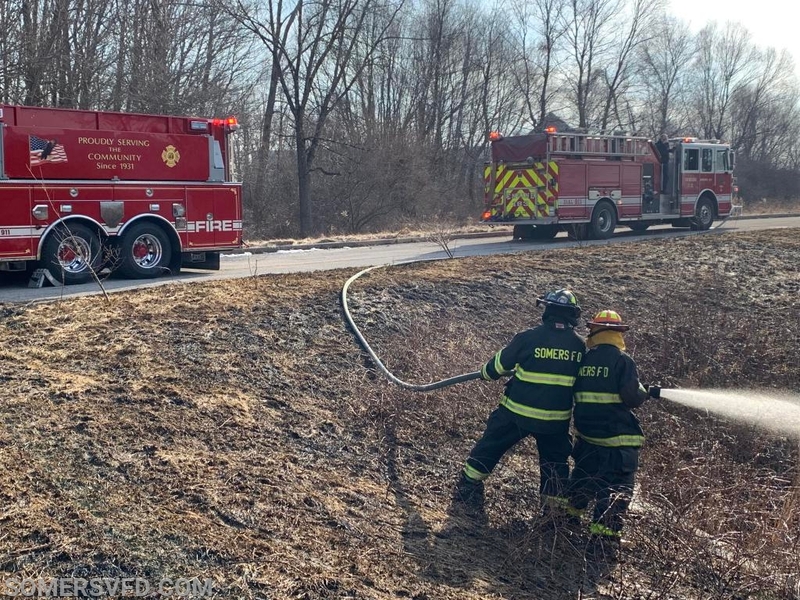 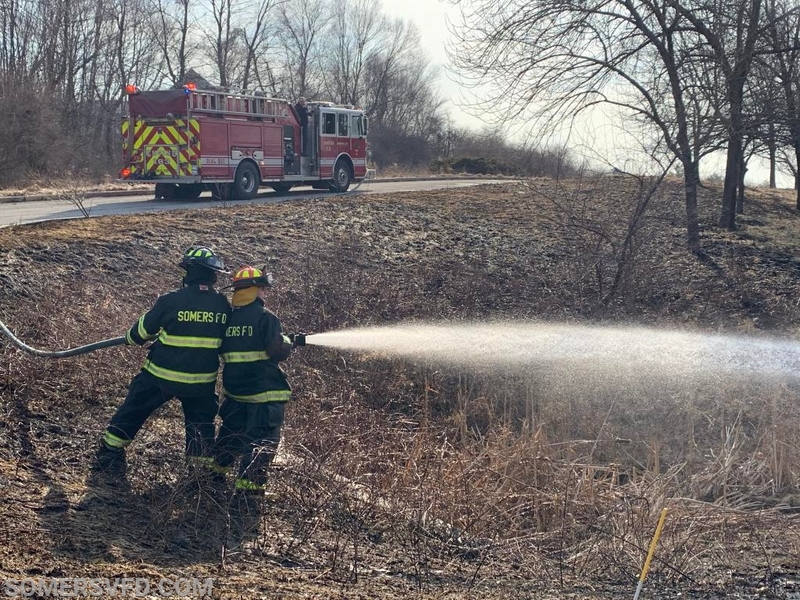 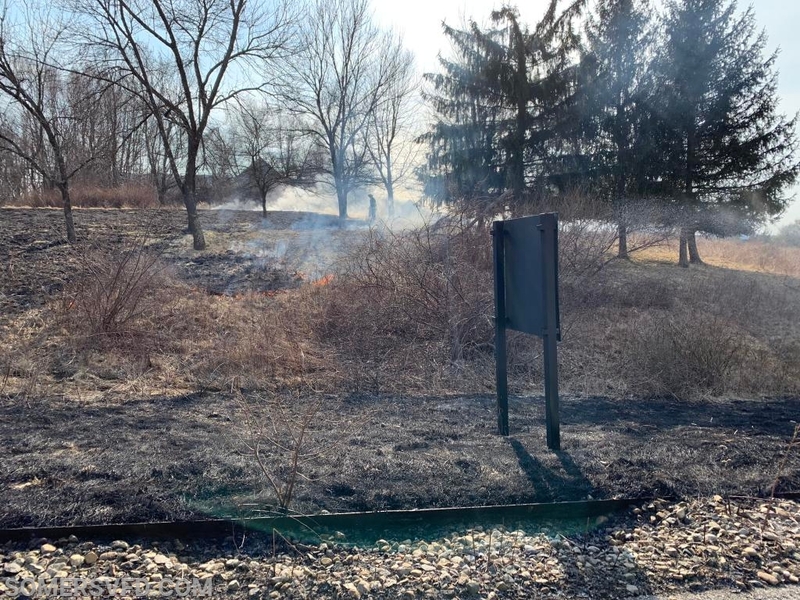 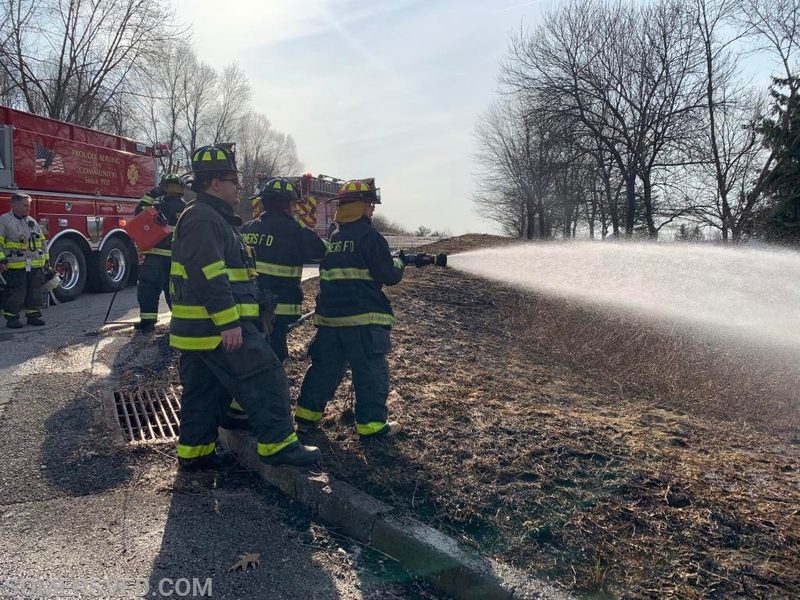 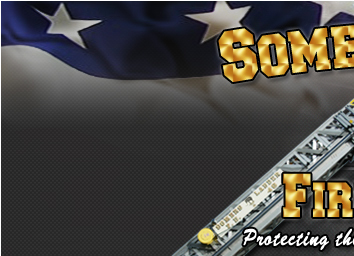 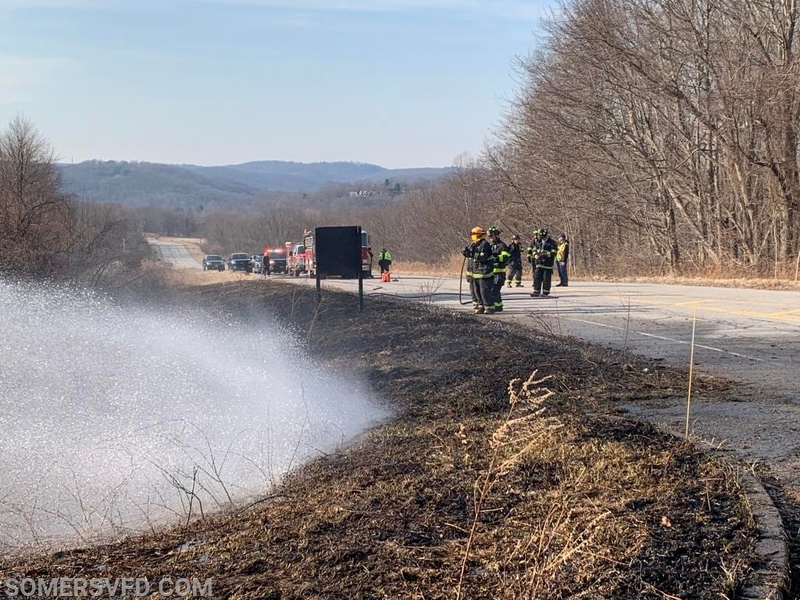 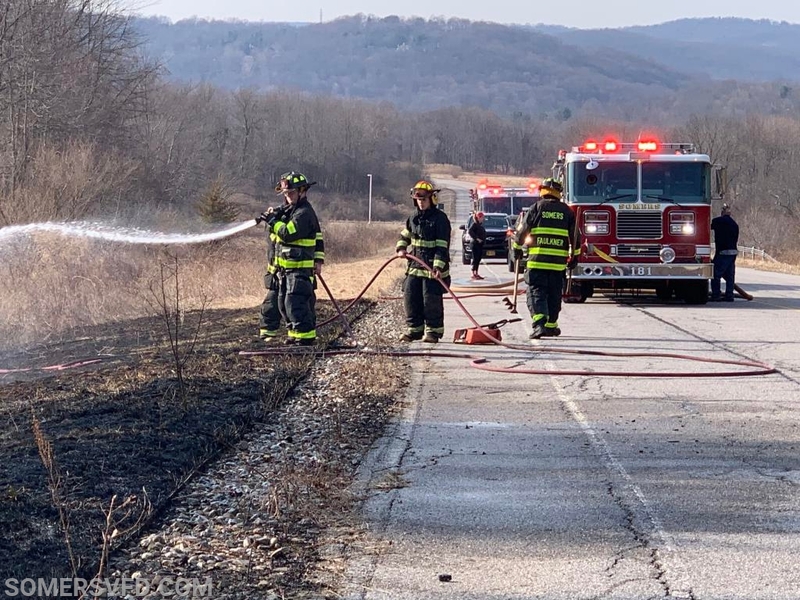 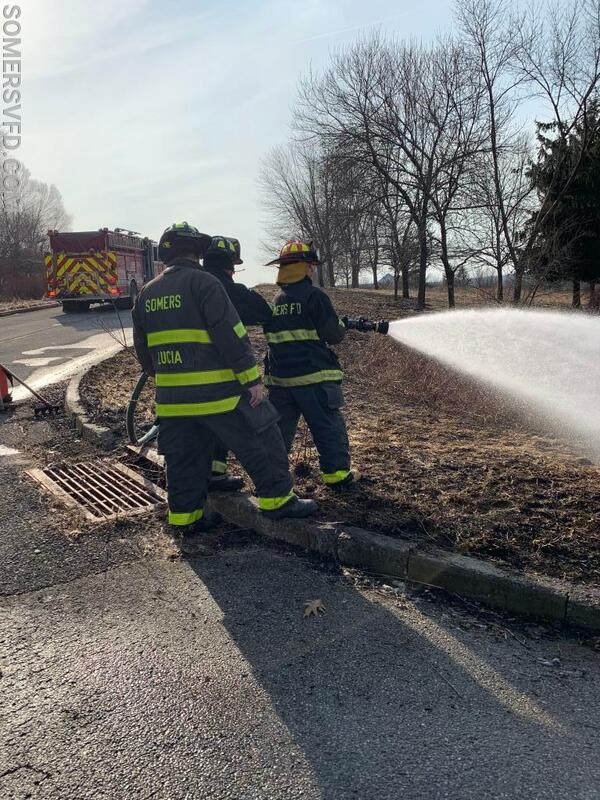 Somers FD Quickly Extinguishes Brush Fire at IBM - Somers Volunteer Fire Department, INC.
On Wednesday March 20th 2019, at 4:09pm the SVFD was dispatched to the old IBM Campus for a reported large brush fire. 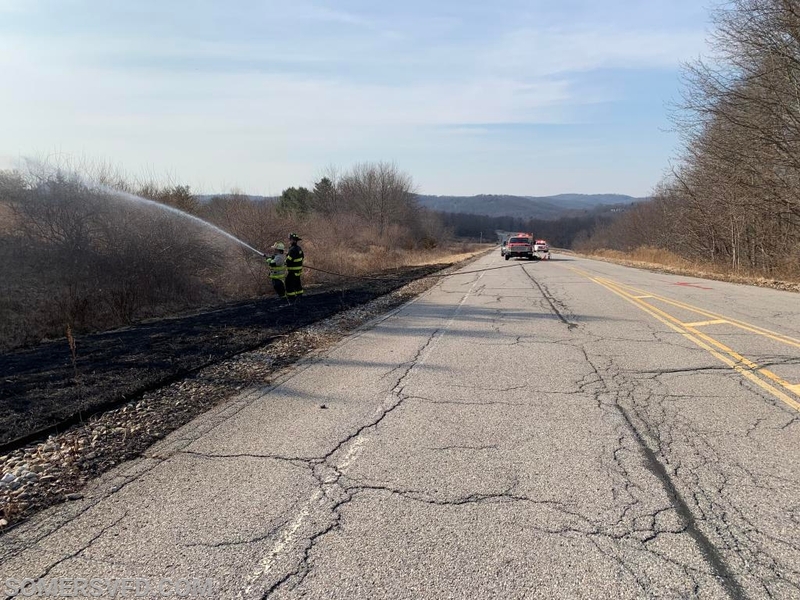 60 Control was receiving reports that it was visible on the Interstate 684 side of the property. 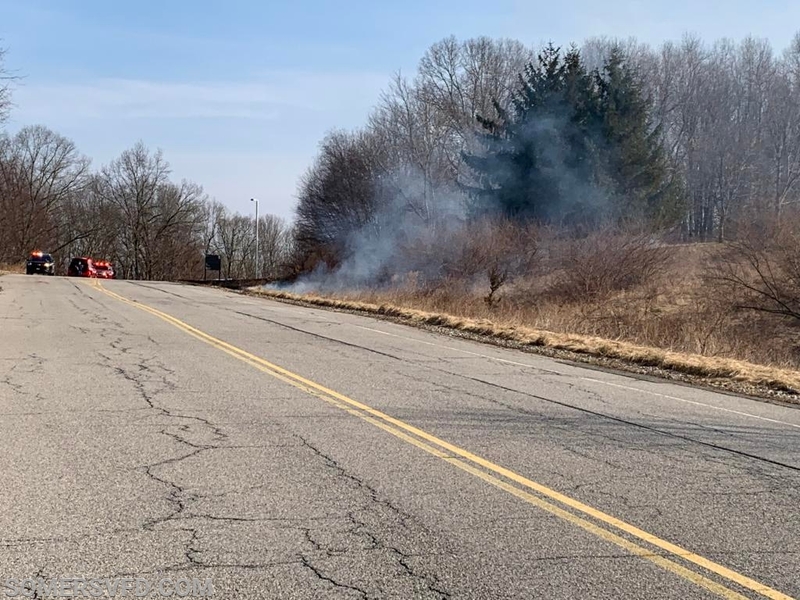 Chief of Department Paul Jockimo arrived on scene 3 minutes later and reported an active brush fire approximately 50 feet by 150 feet. 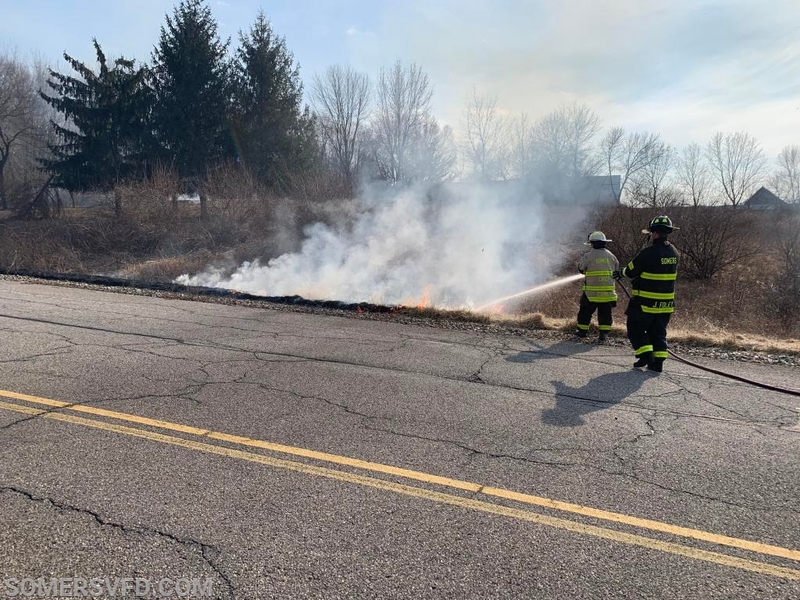 The fire was quickly extinguished and all SVFD units were back in service within an hour.